A few years ago I wrote a commentary on John MacArthur's book, The Love of God - He Will Do Whatever It Takes To Make Us Holy. 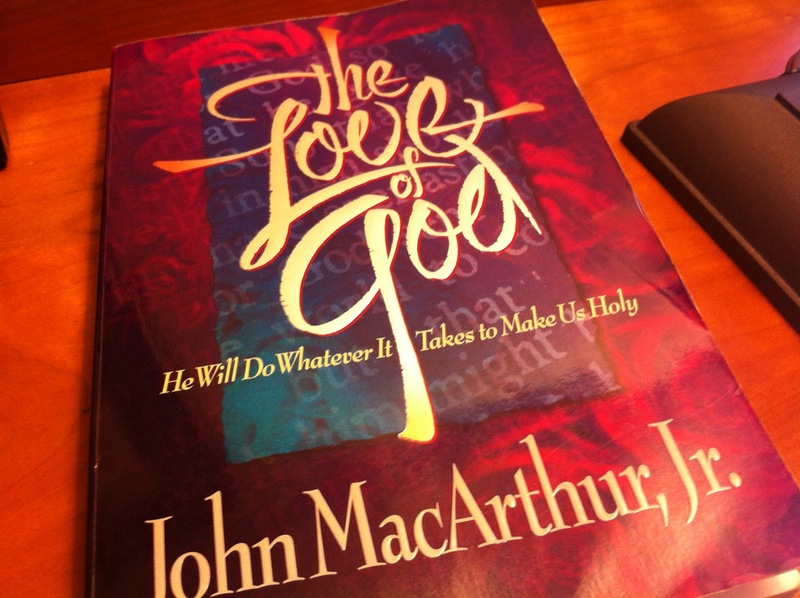 This book is riddled with contradictory statements such that I could not possibly recommend it as a guide to understanding the love of God. Indeed, why on earth would someone promote a book that purports to help a man understand the love of God, when the book itself rests on irrationalism. That is a very straightforward indictment. So much so that it may at once raise the hackles of any MacArthurite. As always, we would ask that one examine our analysis of MacArthur's teaching in light of the scriptures before coming to any conclusion. 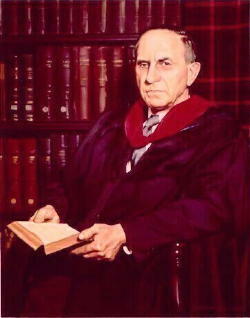 In this audioblog version of his short essay, The Covenants, Elder James Oliphant gives a concise and accurate summary of some of the covenants found in the bible with particular attention given to the conditional and unconditional natures of each, and the ramifications of such on the everlasting covenant of salvation. A proper understanding of the unconditional nature of this covenant, so far as man's participation therein is concerned, is a great remedy to many false doctrines taught today which seek to conjoin the works of God and man in the fulfillment of this covenant. 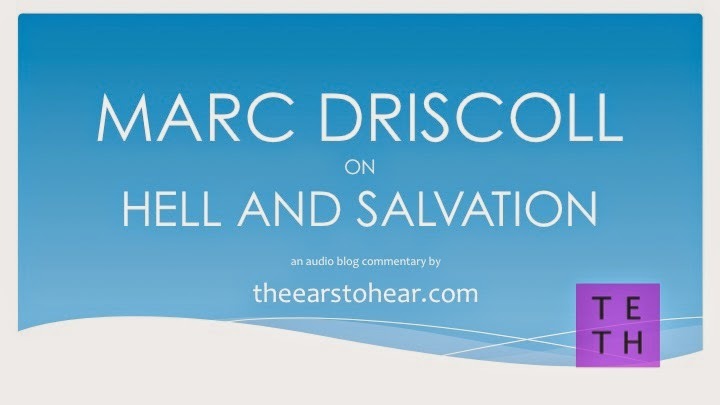 Those who have followed theearstohear's commentaries in recent years are no doubt familiar with our position that great errors in both doctrine and practice have been introduced among God's people by the false notion that the gospel is a well-meant offer of salvation to all of humanity. Perhaps no single work has been cited more often as definitive proof of this teaching than John Murray’s, The Free Offer of the Gospel. It is our opinion that this work clearly teaches that eternal salvation is conditioned upon acts that must be performed by men and that it is therefore not teaching salvation by sovereign grace but salvation by works. This week I stumbled across an article on CNN's belief blog that asks the question: Should we abandon the idea of hell? Now when an outfit like CNN endeavors to grapple with matters of the Christian faith, one should approach their commentary with extreme skepticism and discernment. In my experience, a major news outlet's handling of matters of Christian doctrine and practice is a bit like watching a chimp on a Steinway: amusing to watch but hard to listen to. It their simian attempts at handling the truth, they juxtapose yea and nay on the abandonment of hell. In the yea category is Frank Schaeffer, son of Francis Schaeffer, whose thoroughly unbiblical perspective can be fairly well ascertained by his closing quote, "We need 'hell' like a hole in the head. It’s time for the alternative of empathetic merciful religion to be understood." I submit that the very fact that we would know almost nothing of the doctrine of hell were it not for the teaching of the Lord Jesus Christ himself so strongly contradicts this "Frank" assertion, that such a quote deserves no further consideration among God's people. Often asked yet rarely answered correctly. The gospel is the good news of the finished work (John 19:30) of the Lord Jesus Christ to save his people from their sins (Matthew 1:21). Sins are the manifold instances wherein man breaks God's moral law (Exodus 20) which prove that he is both a sinner by nature (Ps 51:5), as a result of Adam's transgression (Romans 5:12), as well as by practice (Romans 3:10-18, 5:12) since all have sinned (Romans 3:23). What Assurances Accompany the Gospel? It is accompanied by the assurance that those who believe this account have everlasting life (John 3:16) and have passed from death unto life (John 5:24) as a result of the grace of God alone (Ephesians 2:8-9) and not by their works (Titus 3:5, Romans 9:16). Those who believe are admonished to repent of their sins (Acts 2:40) and be baptized into the the Lord's New Testament Church (Acts 2:41) and to walk in obedient discipleship under the precepts of the Lord Jesus Christ (Acts 2:42, John 14:15). To Whom is the Gospel Good News? The gospel can ever and only be received by a man who has been born again (John 8:47) who was chosen in Christ from eternity past (Ephesians 1:4) to be a son (Ephesians 1:5) and for which reason he was regenerated in time (Galatians 4:6) by the working of the same mighty power of God which resurrected the Lord Jesus Christ from the grave (Ephesians 1:19-20). Such men are described as thirsty (Isaiah 55:1, Revelation 22:17, Matthew 5:6), hungry (Matthew 5:6), blessed (Matthew 5:6) and willing (Psalm 110:3, Revelation 22:17) in the scriptures. Who Cannot Recieve the Gospel? Conversely, the gospel cannot be received by a man who has not been born again (John 8:47) because he lacks the spiritual eyes to see (John 3:3), lacks the capacity to receive or understand spiritual truth (I Corinthians 2:11-14, Romans 3:12), lacks any fear of God (Romans 3:18) and has absolutely no desire for spiritual things (Psalm 10:4). Salvation is all by the grace of God (Ephesians 2:8-9) and any spiritual capacity you ever see in a man is never anything more than an evidence of a salvation wrought entirely by God beforehand on his behalf (Ephesians 2:10, Galatians 5:22, Hebrews 11:1). John 19:30 - When Jesus therefore had received the vinegar, he said, It is finished: and he bowed his head, and gave up the ghost. Romans 3:10-18 - As it is written, There is none righteous, no, not one: There is none that understandeth, there is none that seeketh after God. They are all gone out of the way, they are together become unprofitable; there is none that doeth good, no, not one. Their throat is an open sepulchre; with their tongues they have used deceit; the poison of asps is under their lips: Whose mouth is full of cursing and bitterness: Their feet are swift to shed blood: Destruction and misery are in their ways: And the way of peace have they not known: There is no fear of God before their eyes. Romans 5:6 - For when we were yet without strength, in due time Christ died for the ungodly. Isaiah 6:3 - And one cried unto another, and said, Holy, holy, holy, is the LORD of hosts: the whole earth is full of his glory. Hebrews 10:14 - For by one offering he hath perfected for ever them that are sanctified. Hebrews 9:12 - Neither by the blood of goats and calves, but by his own blood he entered in once into the holy place, having obtained eternal redemption for us. Romans 5:19 - For as by one man's disobedience many were made sinners, so by the obedience of one shall many be made righteous. Isaiah 61:1-2 - Verily, verily, I say unto you, He that heareth my word, and believeth on him that sent me, hath everlasting life, and shall not come into condemnation; but is passed from death unto life. Romans 9:16 - So then it is not of him that willeth, nor of him that runneth, but of God that sheweth mercy. John 14:15 - If ye love me keep my commandments. John 8:47 - He that is of God heareth God's words: ye therefore hear them not, because ye are not of God. Ephesians 1:4-5 - According as he hath chosen us in him before the foundation of the world, that we should be holy and without blame before him in love: Having predestinated us unto the adoption of children by Jesus Christ to himself, according to the good pleasure of his will. Galatians 4:6 - And because ye are sons, God hath sent forth the Spirit of his Son into your hearts, crying, Abba, Father. Isaiah 55:1 - Ho, every one that thirsteth, come ye to the waters, and he that hath no money; come ye, buy, and eat; yea, come, buy wine and milk without money and without price. Revelation 22:17 - And the Spirit and the bride say, Come. And let him that heareth say, Come. And let him that is athirst come. And whosoever will, let him take the water of life freely. Psalm 110:3 - Thy people shall be willing in the day of thy power, in the beauties of holiness from the womb of the morning: thou hast the dew of thy youth. I Corinthians 2:14 - But the natural man receiveth not the things of the Spirit of God: for they are foolishness unto him: neither can he know them, because they are spiritually discerned. Romans 3:12 - They are all gone out of the way, they are together become unprofitable; there is none that doeth good, no, not one. Psalm 10:4 - The wicked, through the pride of his countenance, will not seek after God: God is not in all his thoughts. 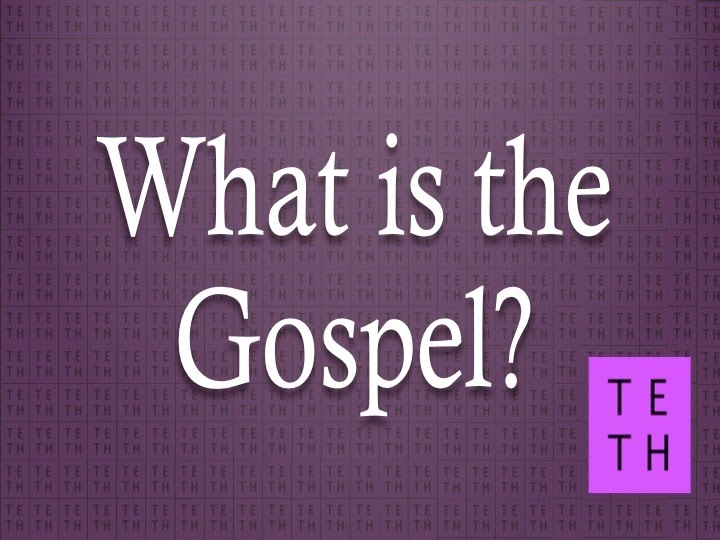 Michael Horton - What is the gospel? The gospel is not good advice. You can't do the gospel. If we confuse law and gospel we'll make our selves partly our own saviors. I have provided a complete transcript of Horton's short video below along with teth's commentary. Mark Dever - What is the gospel? 1. Contradictory assertions regarding man's depravity. 2. The positing of prerequisites for obtaining eternal life. 3. Failure to attribute man's alienation to Adam's sin.